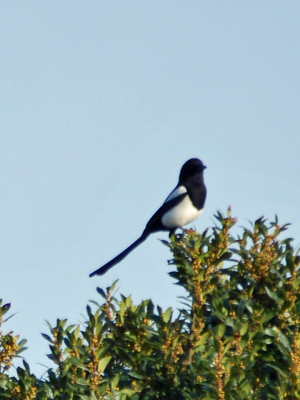 Observation - Magpie at Cissbury Ring, West Sussex - UK and Ireland. Description: Magpie, second one very close by. Unsure of the correct scientific name? Magpie, second one very close by. Unsure of the correct scientific name?